APC National Secretary General, Ambassador Alhaji Osman Foday Yansaneh confirmed today the petitioning of 53 newly elected Members of Parliament from both the APC and SLPP. 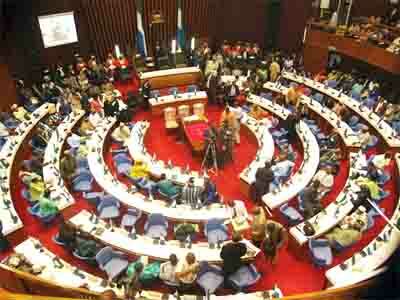 SLPP has petitioned 21 APC MPs while the APC has also petitioned thirty two (32) SLPP MPs. Lawyers for both the APC and SLPP will appear in the high Court Monday 23rd April, 2018 to argue the merits and demerits of their actions. If the high court grants the injunctions, the 53 MPs will not take the oath on Tuesday and also not take part in the elections of the Speaker and Deputy Speaker. Are these petitions justified and will the courts stick strictly to the laws of our country and will the opposition be treated fairly? Will it be possible to have an expert’s opinion on what is currently going on in parliament. It’s good that we have started resolving our political differences in court and not on the streets.